2016 marks the 60th year of Bill Utter Ford in Denton! 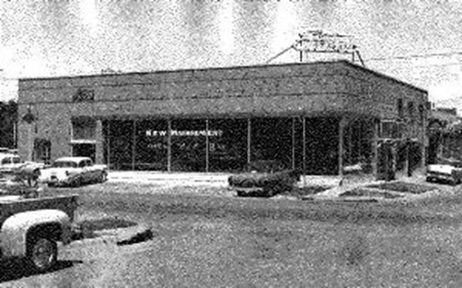 Since the doors were first opened in 1956 at Deal Country Texas, Bill Utter Ford has been loyally serving its customers and its community in Denton, Texas. 59 years later in 2015, Bill Utter Ford had its best year for vehicle sales since that opening day in May 1956. In its 60th year as a dealership Bill Utter has even bigger plans for 2016. The dealership hopes to maintain that same hunger that was present decades earlier to continue to grow and to provide outstanding customer service for the community that everyone at Bill Utter Ford is so closely connected with. To get this 60th year kicked off right the Bill Utter Ford new car showroom will be dressed head to toe in 1950s décor in homage to 1956, the year it all started. Come by anytime to see 1950s vehicles on display, hear some of the most popular music from the time period, and just drink in the atmosphere of the 50’s style diner and living room that will be set up for visitors to experience. Don’t forget to stop and pose for a photo with Marilyn Monroe, Elvis Presley or even Bill Utter Jr. himself!